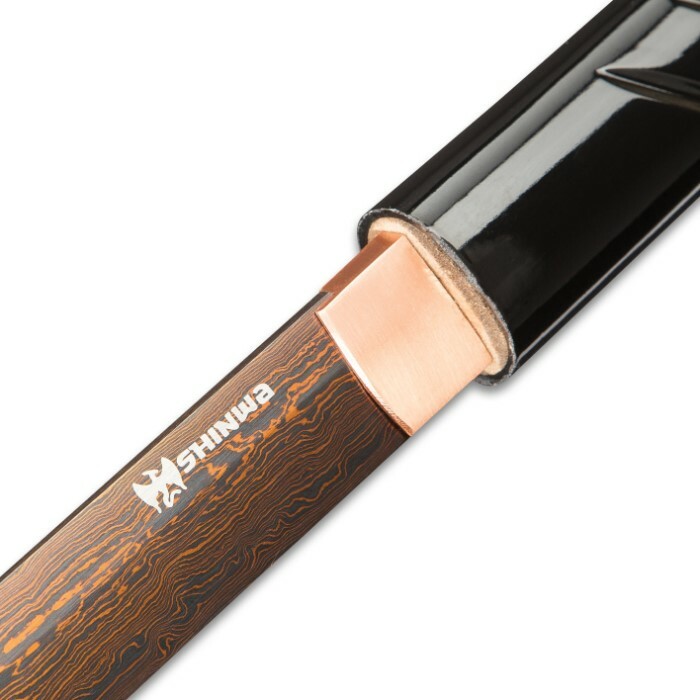 Shinwa’s sleek, eye-catching “SilkSting” Shirasaya Sword undeniably stands apart from the rest and is a must-have for any serious sword collector. Amongst even the finest, most ornate katana, wakizashi and other common Japanese sword styles, this alluringly clean, no-frills sword is an immediate standout, sure to draw attention and spark lively conversation. The traditional shirasaya configuration’s satiny smooth lines, unique staff-like shape and hand-lacquered hardwood construction all make for a beautiful example of Japanese swordcraft’s diverse design variety and vast aesthetic range. Though its roots stretch back centuries, for most, the shirasaya represents a fresh, intriguing departure from the katana-like image ingrained in the popular imagination: ray skin and cord-wrapped tsuka, ornate guard, sageo accented saya and the like. 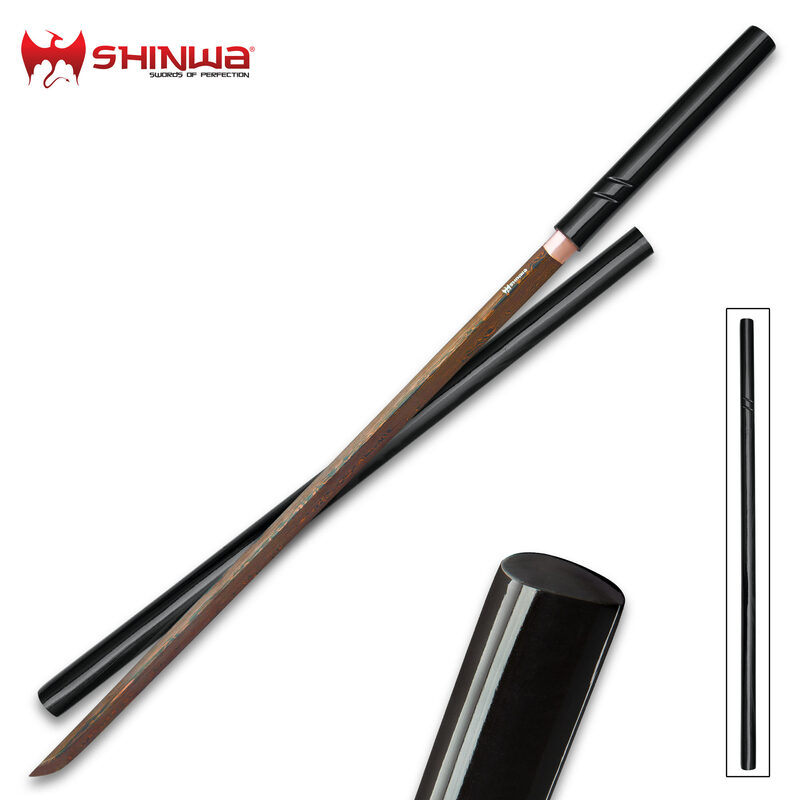 But, interesting and alluring as the fluid, polished exterior may be, don’t forget – this sword is equal parts “silk” and “sting.” As such, the “silky” smooth saya conceals a potent “stinger” – a menacing black Damascus steel blade with a carefully honed edge. The SilkSting’s distinctive black Damascus is a tumultuous sea of contrasting lines, waves, swirls and other mesmerizing patterns, all cloaked in a shadowy dark hue. Each line is a distinct variety of steel, hammer welded and hand folded repeatedly to yield the thousands of layers in each SilkSting blade. The unique metalsmithing technique’s roots stretch back to the Middle Ages, and today it’s still painstakingly performed by seasoned hands – no automation, no mechanization. To make each SilkSting blade, a Shinwa master swordsmith fires a stack of steel blanks - each piece a different alloy - in a white-hot forge until the metal glows red hot. He then removes the stack and hammers it until it’s around half as thick as the original. Then he folds the metal onto itself lengthwise and hammers each half together. The process is meticulously repeated – hundreds of times in some cases – until the desired layering effect is achieved, at which point a final quenching strengthens the resulting blade, while an acid treatment highlights vivid contrasts in the layers. And the slow, laborious process itself it just the beginning! In order to achieve sufficiently dramatic contrasts, Shinwa’s master smiths must expertly select an appropriate combination of steel alloys of varying color, luminescence and other visual qualities. For the sake of strength, resilience and countless additional blade factors, the smiths must also must consider each alloy’s distinct melting point, proper stacking order, forge temperature and myriad other variables. Simply put, an unbelievable quantity of blood, sweat and tears goes into every SilkSting blade. 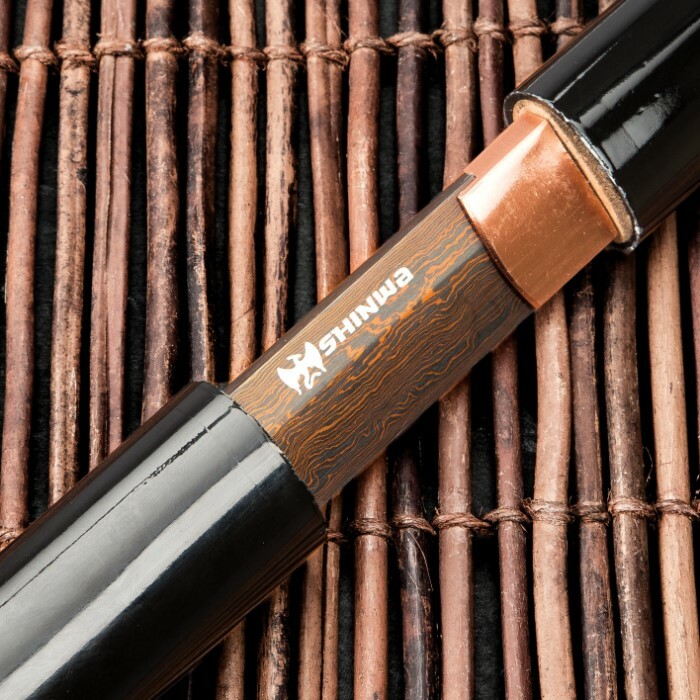 As if that weren’t enough, Shinwa adds its own innovative modern twist to the SilkSting blade - an exclusive, closely guarded secret process that imparts its brooding dark hue; putting the “black” in black Damascus, so to speak. Rich amber lines swirl over a deep black void like trails of blood flowing down a blackwater river. It's Damascus steel...after dark. And of all the world’s swords, Shinwa’s SilkSting is one of a relative few to feature it. Furthermore, like a steel snowflake or fingerprint, the patterning on no two SilkSting blades is exactly alike. Uniqueness is becoming an ever-scarcer quality in today’s sword industry. Every sword maker tries to outdo the rest with intricate, over-the-top ornamentation accented with rare, precious materials like abalone or ebony. In a marketplace crowded with gaudy, expensively swords adorned in showy, ultrapremium finery, how does any modern sword collector keep up? What sword will truly embolden any collection or display with a genuine sense of originality and fresh appeal without costing a small fortune? The seemingly paradoxical answer: trade flashy, over-the-top frills for clean, simple form. Shinwa’s SilkSting Shirasaya is the simple standout that comes fully loaded - with value, sleek minimalist style, real-world effectiveness and genuine handcrafted substance. I GOT THIS SWORD FINALLY, IT HAS A COOL BOX TO STORE IT.THE BLADE IS QUITE SHARP, AND FEELS STURDY. I DID THE BEND TEST AND THINK (MAYBE) IT IS FULL TANG BUT BAD DESIGN. OVERALL ITS WORTH THE PRICE, AND U CAN WRAP A FABRIC FOR RIFLES AT ANOTHER COMPANY. IM HAPPY WITH IT. Nice sharp blade but i don't think it is a full tang. When i tap on the handle it sounds like a tuning fork. I would be afrade to strike something with it out of fear the handle would break . There is no way to dismantle it to check if it is a full tang or not but i think NOT. Definitely a good piece for the price. But if you think this is basically the epitome of quality swords, you have a lot to learn. This is barely even in the price range of a functional sword. My only other Shirasaya is by hanwei, and costs $600. Now let me tell you that if those two swords crossed, after a few strikes were exchanged the Shinwa would fail miserably. It's just not that high quality. However, I know most people buying this aren't incredibly serious sword collectors and this is definitely good enough to chop fruit in your backyard or swing through the air with. This sword is great. I have no idea what everyone is talking about. Yeah sure there is a little extra weight on the blade, but that makes it easier to swing right? 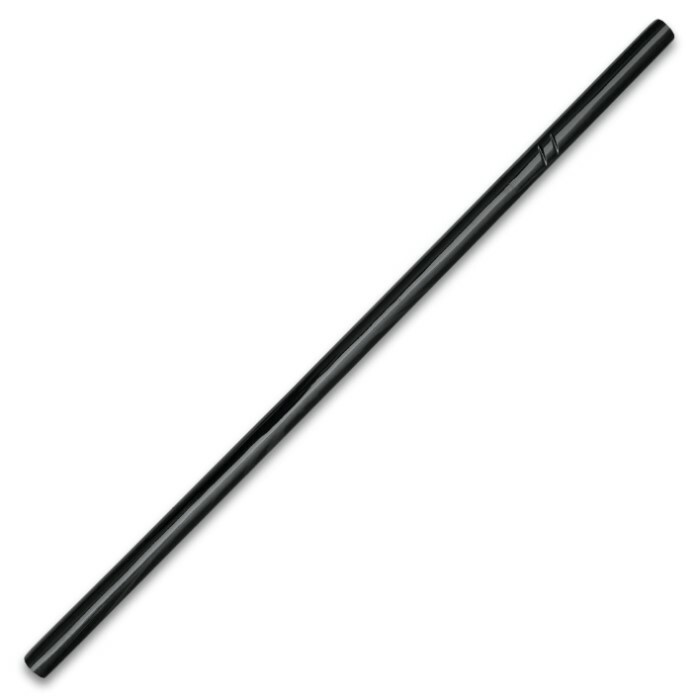 You can use this sword for display or for combat. Great sharp blade, I recommend this to anyone and everyone. This was my dream sword. This was my second purchase from this site. Already having high expectations True Sword did not let me down. The sword came sturdy, well polished, no knicks, and with an edge. I couldn't be happier. It looks very pretty sitting on display. I show off the blade every now and then but the handle feels weak. It is not full tang. That is the only downside though to a cool blade.